Stop me if you've heard this before: I first became interested in Burning Paper because of its brightly colored box art. I also found its Bomberman-esque protagonist to be intriguing. 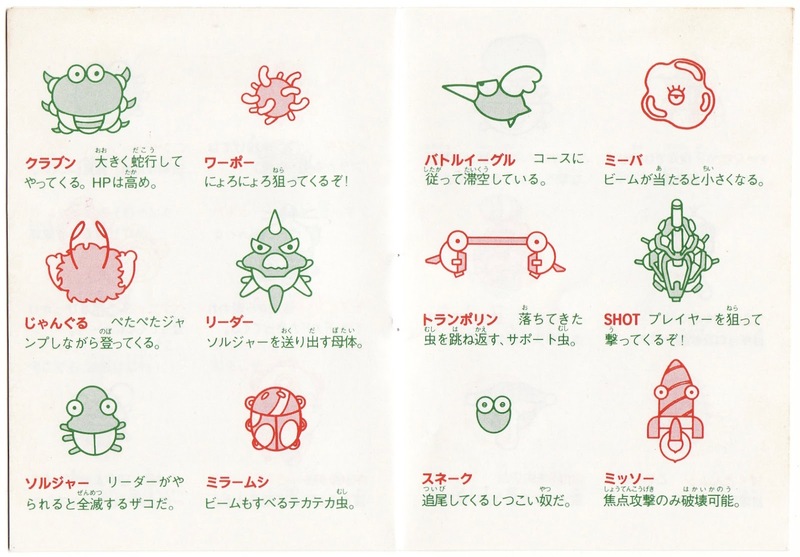 Thankfully, there's more to this 1993 Japan-only release than its snazzy cover imagery. 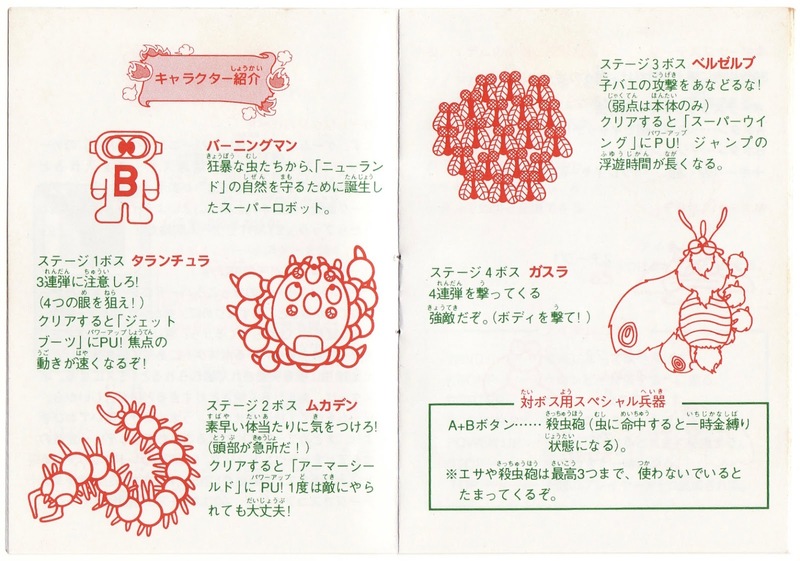 In fact, I think its gameplay which reminds of Qix mixed with Space Invaders, is even more impressive than its box art. I might say the same of the Burning Paper soundtrack, which features some surprisingly top-shelf tunes. 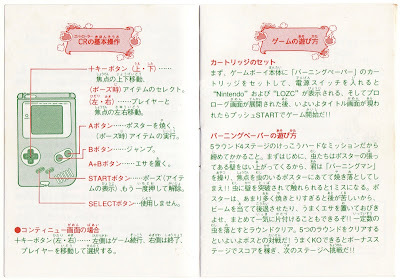 The game's instruction manual, showcased here, is worth mentioning, too. It starts off a bit slowly, but once it gets going, it doesn't look back. 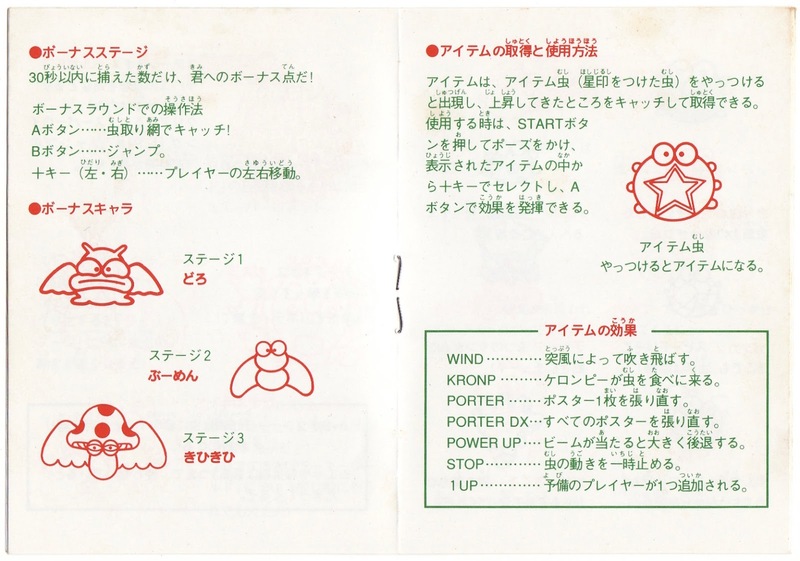 Honestly, though, even the blander pages of the Burning Paper manual are easy on the eyes thanks to the complementary green and orange inks its designers decided to use while printing it. 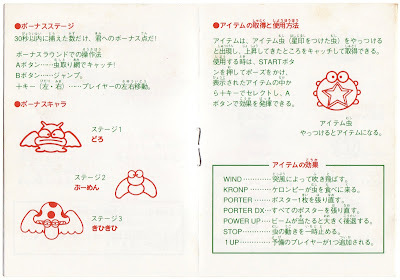 From there, it introduces players to the game's protagonist, Bomberman--I mean, Burningman--as well as its insect-inspired bosses. 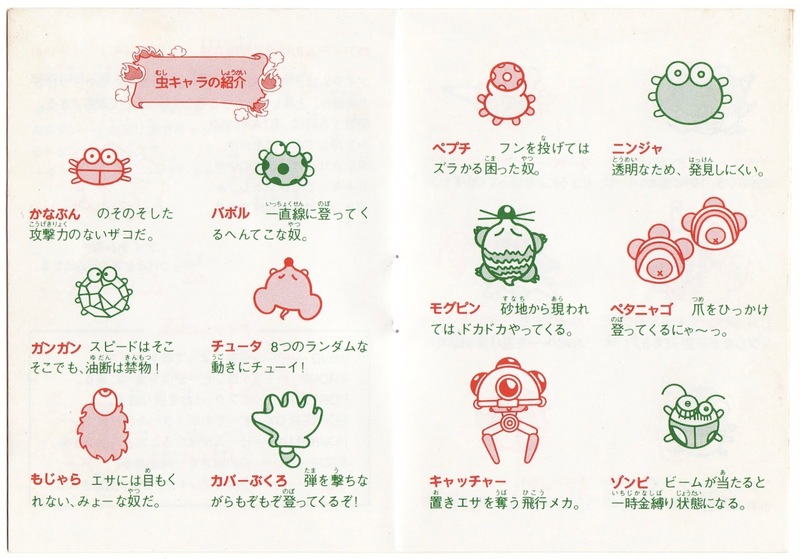 Next, the Burning Paper instruction manual gives readers a glimpse of the enemies that inhabit this Japanese GameBoy game's bonus stages. 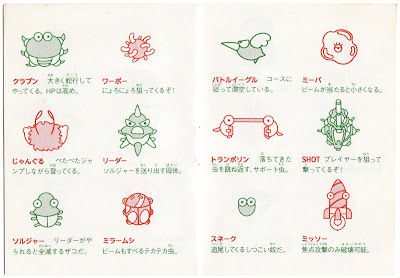 Oh, and it offers up a rundown of its handful of collectible items, too. 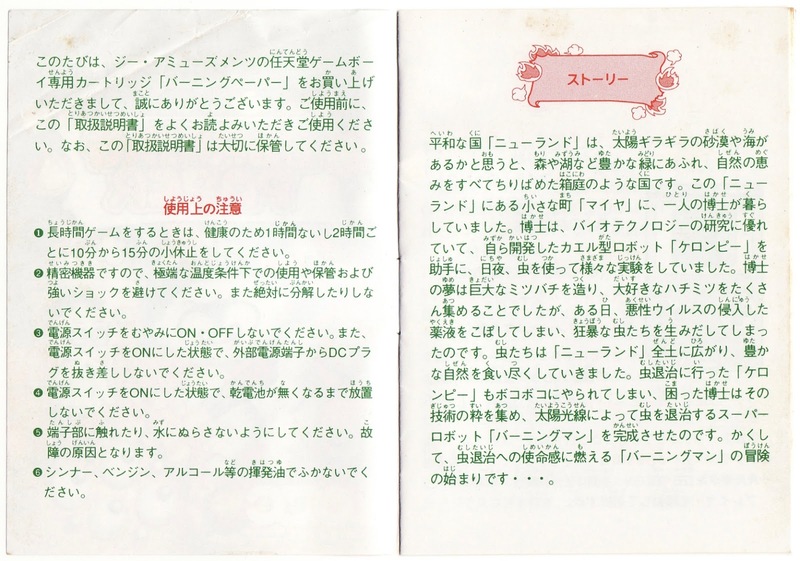 The highlight of this impressively meaty booklet is the six-page salvo of enemy names, descriptions, and illustrations. 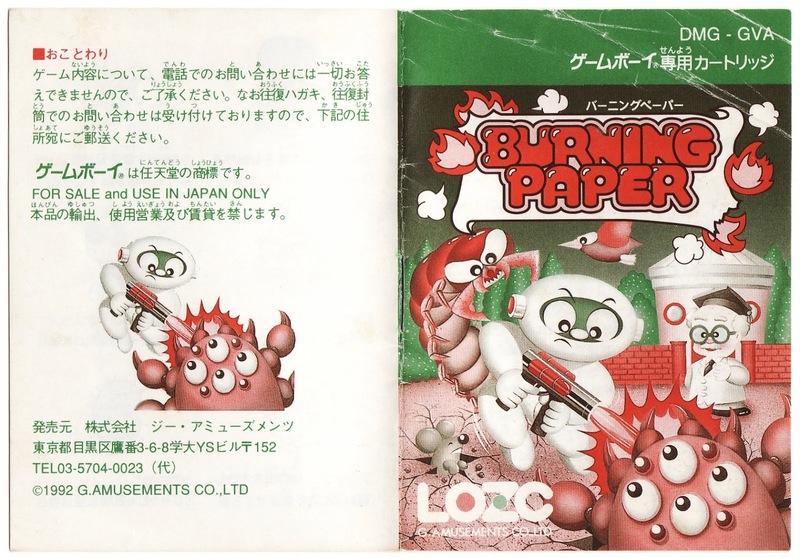 I don't know about you, but I think the first batch of baddies you encounter while making your way through Burning Paper's initial couple of stages are far better than the ones that come later. Even so, this title, both developed and published by the little-known company, LOZC G. Amusements, is a delight. 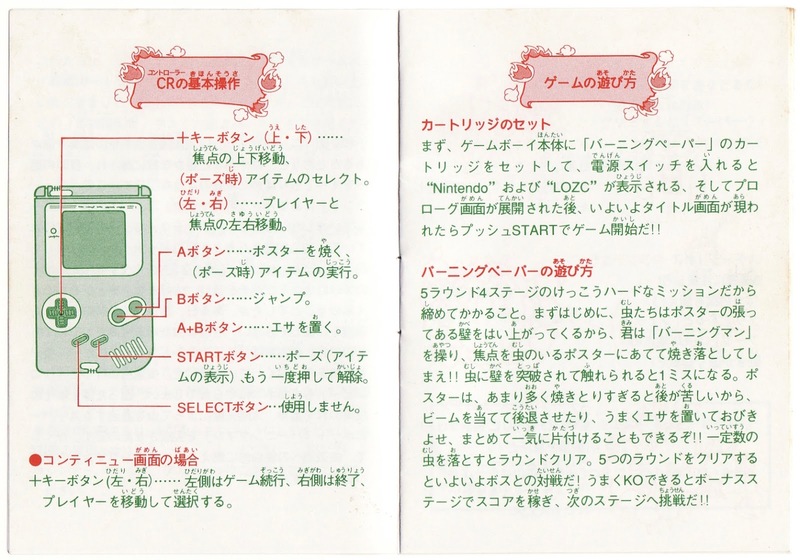 If you're still up for playing GameBoy games in one way or another, I'd highly recommend devoting a few minutes to this one as soon as you've got the time. 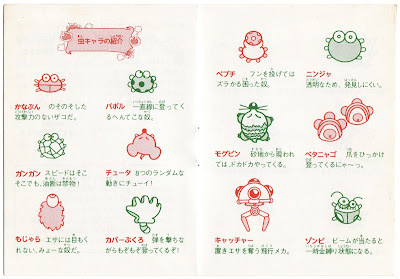 See also: previous 'Manual Stimulation' posts about Bubble Bobble Junior, Noobow, Peetan, and Snow Bros. Jr.